Today’s three-hour-long Google I/O keynote came with plenty of announcements, but the company mostly assured us that it is focused on building frameworks that can benefit developers and consumers. We saw a more unified company that needed three hours in one session to get their message across. Breaking today’s keynote up into two days would have disrupted the momentum coming out of a company that closed the day at an all-time high on the stock market. Key areas of the business saw updates, all relaying the important foundation necessary to move Google forward over the next 10 years. From search to maps, everything is getting a new coat of paint, a new polished experience and a focus from every team within the company. The only announcement that didn’t fit into a “category” was its new music subscription service. Some are calling it a Spotify-killer, but to us, it seemed like a necessary and inevitable announcement. 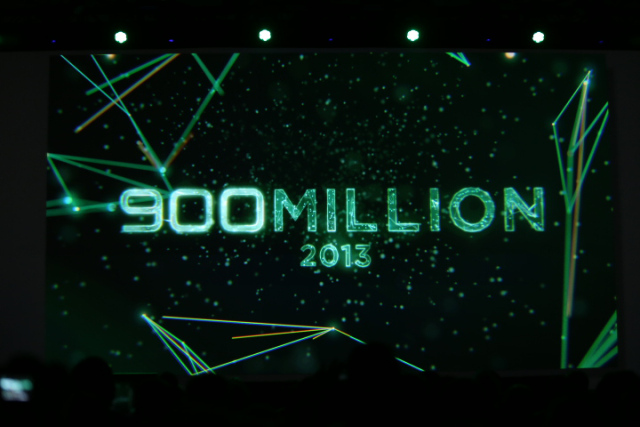 The day started out with Android, with the news that more than 48 billion apps have been installed from the Google Play store, thanks to 900 million activations of Android devices. That’s great news for developers, showing that consumers really care. To make their apps better, Google introduced a new tool called the Android Studio, which makes developing in multiple languages and for multiple screen sizes easier than ever. The takeaway is that Android is massive, is giving Apple a run for its money and all developers should consider building apps on its platform first, rather than second. 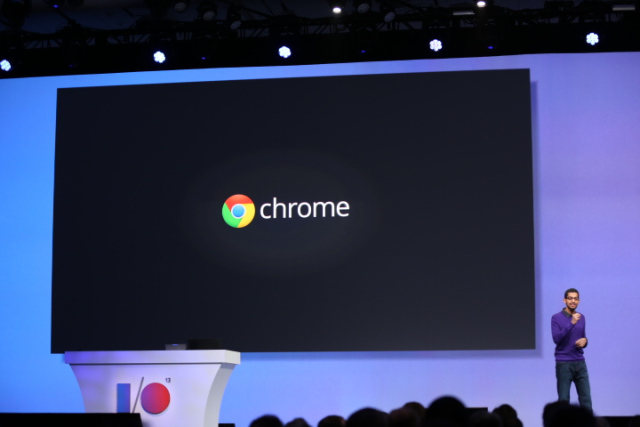 That little project that Google worked on, you know…the browser? It’s the No. 1 browser in the world, to the tune of 750 million active users, and Google isn’t afraid to tell you all about it. Oh, it’s also a platform upon which to build apps, so developers should be doing that too. The takeaway is that if you’re building apps on the web, people love Chrome and Chrome offers all of the open tools you need to build gorgeous things. 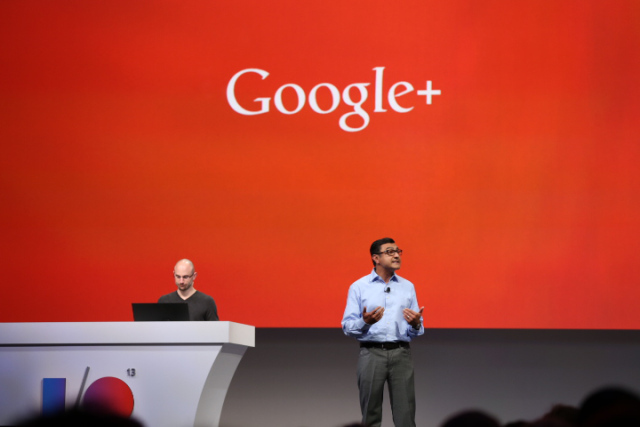 Whether you think that Google+ is a Facebook competitor or not, the 41 features introduced today will get your attention. The stream itself, which now has 190 million monthly active users, is now three-columned and has interactive animations all over the place. Google says that the stream was flat, so it needed a fresh take. Not a photographer, but chat with your friends a lot? GTalk, Talk, Google Chat or whatever you’ve been referring to it is gone. Hangouts is in, and it’s an app for iOS, Android and the desktop. It has video and text chats, complete with emoji and presence. We’re just glad that they didn’t call it Babel, which was the real internal name for the project. The takeaway here is that Google knows that you want to talk to your friends and family. It thinks that if it can integrate features to facilitate your communication from anywhere — at your desk or on your phone or tablet — they have you covered. Search is getting smarter these days. Google knows that you go to its site whenever you can’t think of something, but it wants you to be able to ask it questions naturally. 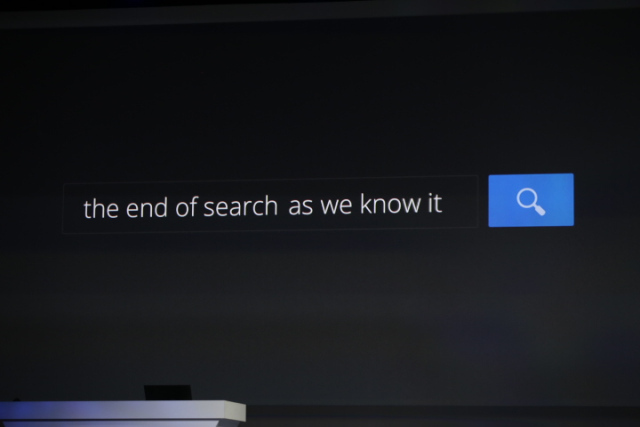 You can do that on Android and iOS with Google Now, but the company announced conversational search for the desktop today. Speaking of Google Now, you can get public transit information, as well as details on your favorite TV shows, books and video games. Knowledge Graph, which fires in little snippets of information when you perform a search, added some new languages and statistics. The takeaway here is that Google wants even more of your searches, but would rather you sit back and relax while performing them. There’s no need to think about how to get the best search result, simply ask a question. Getting the gist yet? Google is refreshing all the things to make them easier to use, develop for and discuss with your Mom and Dad. Speaking of Mom and Dad, they probably use Google Maps to get just about everywhere. Mobile Maps users will get a new experience come summertime, while the desktop experience got such a complete overhaul that they’ve only made it available in preview mode as to not give anyone a heart attack. Want to see it for yourself? Check out our hands-on look. 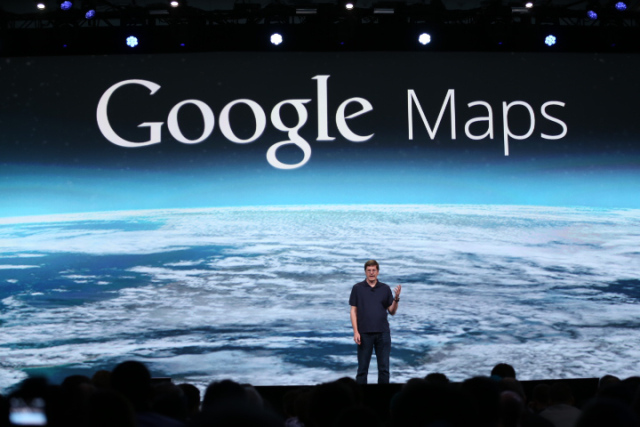 The takeaway here is that Google Maps has been a force for almost 10 years. 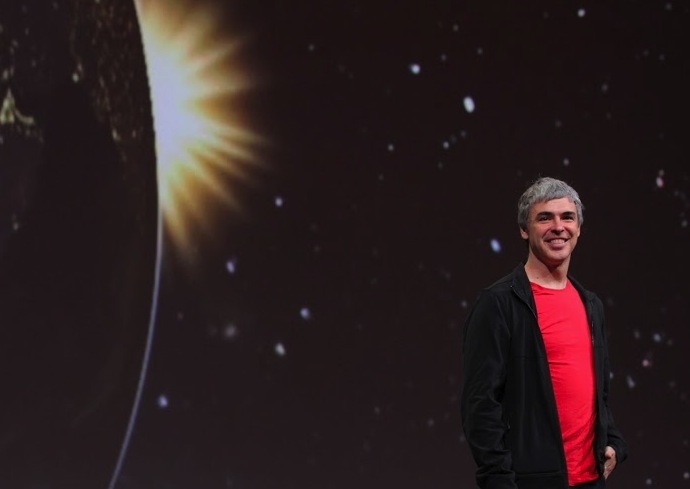 It was time to make the product more user friendly, helping you discover new places and not just get from point A to point B.
Google’s CEO Larry Page made a triumphant return to the I/O stage, a day after discussing his vocal issues. He even discussed a world where cool things could be built without the moonshotters being bothered. All in all, it was a solid day for Google. There were even fighting robots. The future is bright for Google; the foundation for everything has been (re)laid out. Unification.